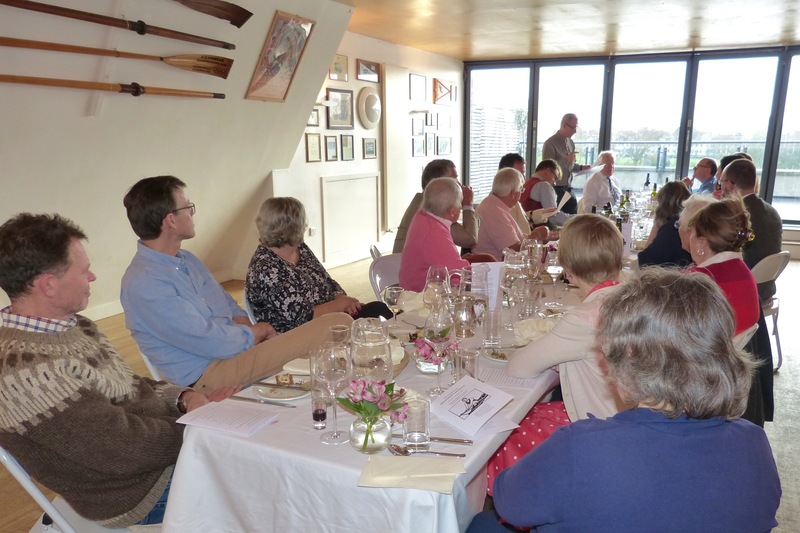 The HTBS 10th Anniversary Lunch was held at Auriol Kensington Rowing Club in Hammersmith, West London. 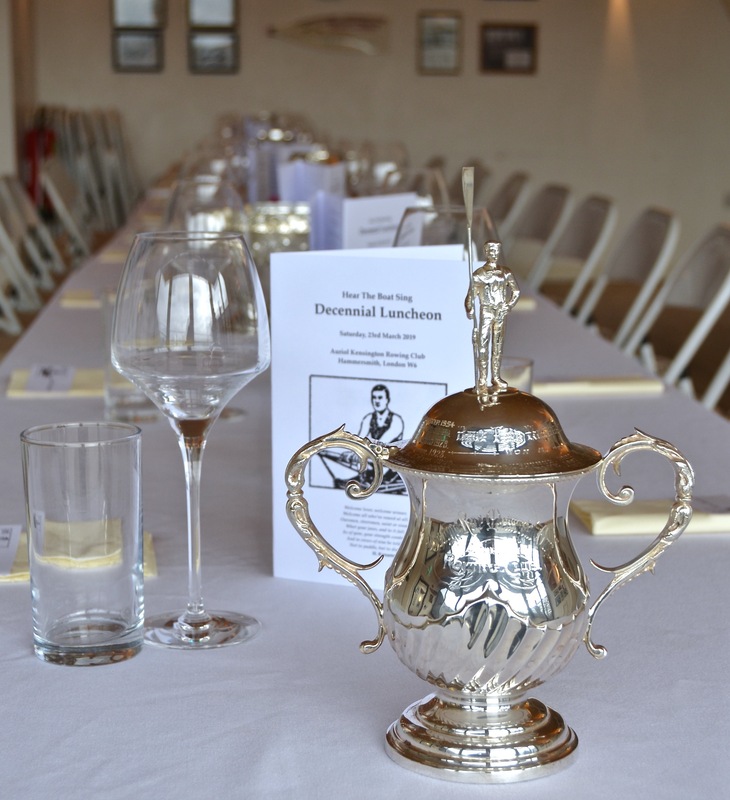 The Club also loaned some of its silver to adorn the table. Tim Koch welcomes the brief return of the three-martini lunch. ‘Lunch is for wimps’ was one of the mantras of Gordon Gekko, the ultimate yuppie portrayed in the 1987 film, Wall Street. 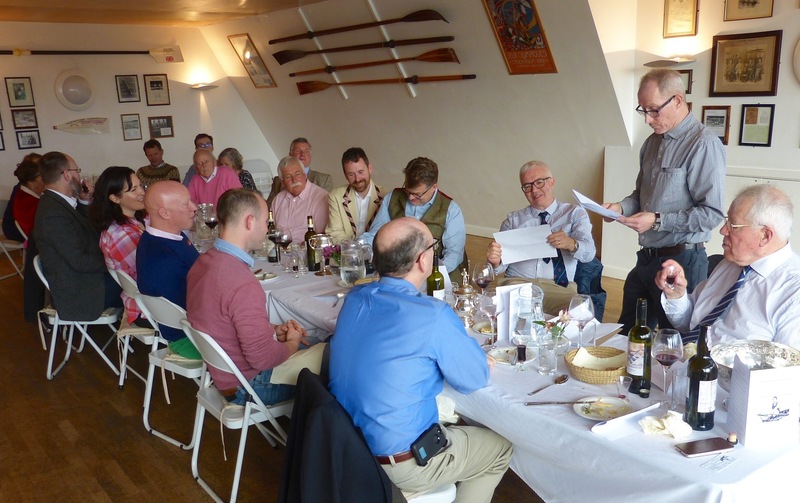 However, if Mr Gekko had attended the Hear The Boat Sing 10th Anniversary Lunch last Saturday, he would surely have changed his mind. An eclectic and erudite gathering of HTBS Types enjoyed delicious food, quaffable wines and good company, interrupted only by the opportunity to observe some high-class racing on the Thames at Hammersmith as four of the Boat Race fixtures plus the Oxford – Cambridge Men’s Lightweights fought it out along the Championship Course. The only sign of wimpery was once when a third glass of port was (initially) refused. The cover of the lunch menu. 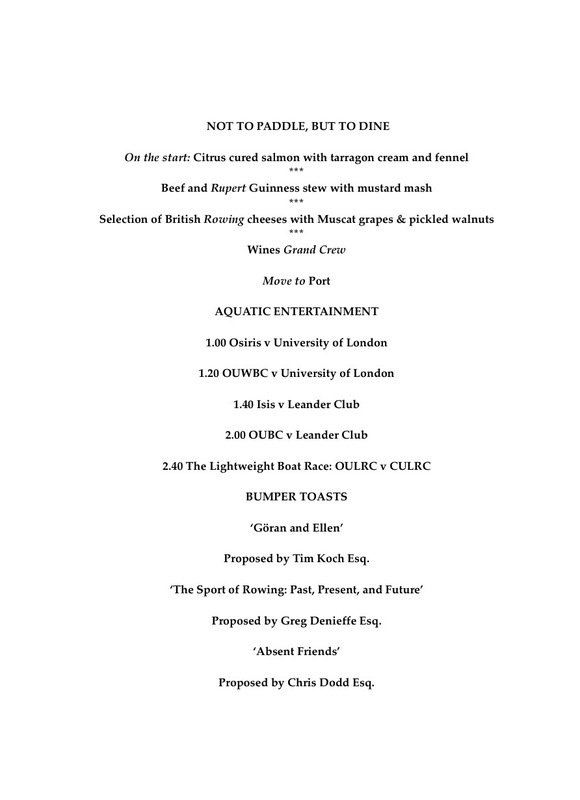 Inside, the menu played homage to the Wingfield Sculls Centenary Dinner menu of 1930. 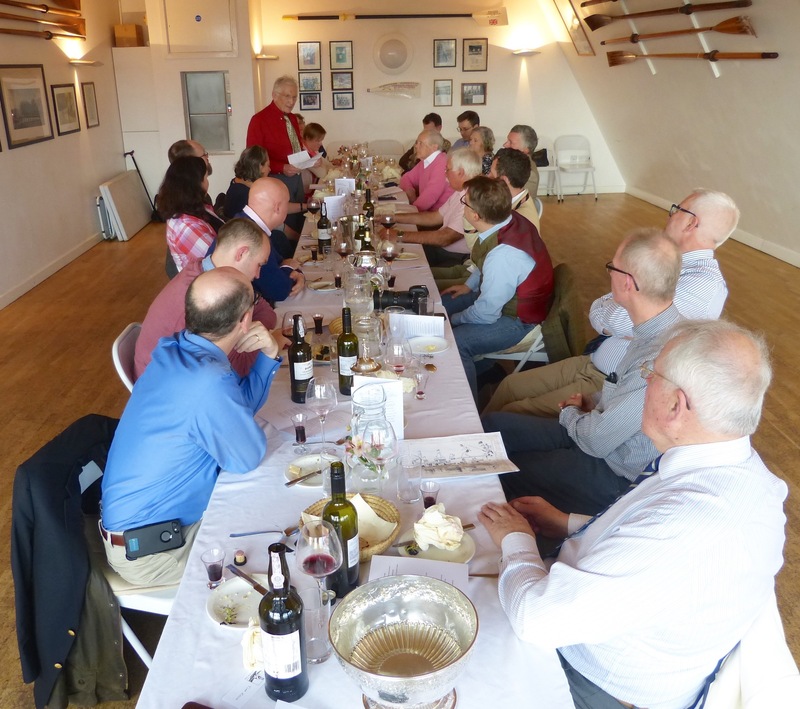 I proposed the first toast, that to Göran, HTBS’s founder and editor-in-chief, and Ellen, Göran’s wife, who inspired him to start a rowing history blog and who provides all our IT support. Picture: Jonny Ambrose. I prefaced my toast by reminding the assembled company of the ancient custom that I had just invented. As I uncorked the port, I noted that tradition dictated that the bottle was continually passed around the table to the left until it was empty. This originated with the Royal Navy on the grounds that the port side of a ship or boat is on the left. This is perfectly true of course, but it is left as you face the bow. Rowers are the only aquatics who face the stern; for them, port is on the right. Thus, I decreed that we should pass the port to the right. 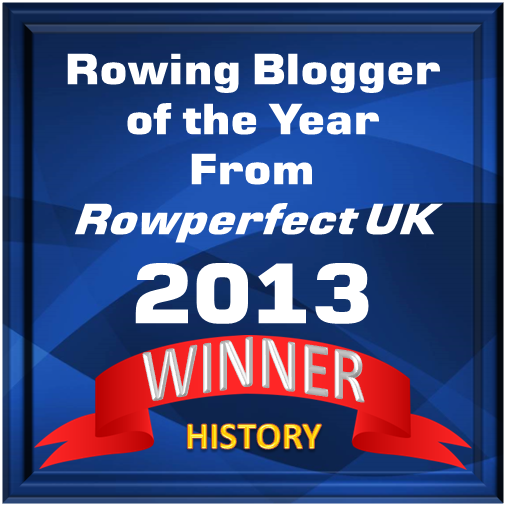 Greg Denieffe proposed the toast, ‘The Sport of Rowing: Past, Present and Future’. 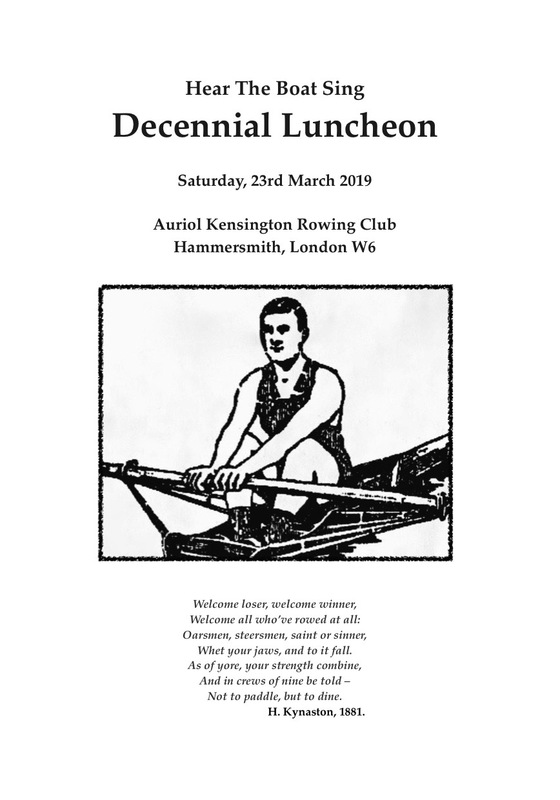 He illustrated this with reference to Brexit cartoons that used rowing as a metaphor, passing around some very amusing examples. Greg from the other end of the table. HTBS’s most distinguished contributor, Chris Dodd, toasted ‘Absent Friends’ – which probably includes you, dear reader. The universities of Oxford and Cambridge were good enough to lay on some post-lunch entertainment for us. 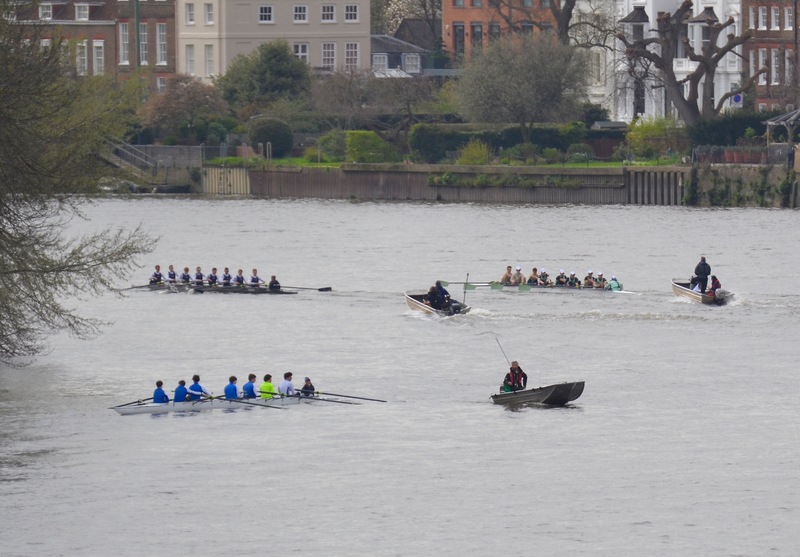 In the early afternoon, there were four ‘fixture’ races when Oxford’s Boat Race crews (men’s and women’s Blue Boats and reserve crews) took on crews from Leander, Molesey and Tideway Scullers (not the University of London Boat Club as advertised) over the Putney to Mortlake course. The Oxford men’s Blue Boat beat Leander by a canvas, while the top Oxford Women beat Molesey over two pieces, the first by 1 1/2 lengths and the second by 1/4 length. 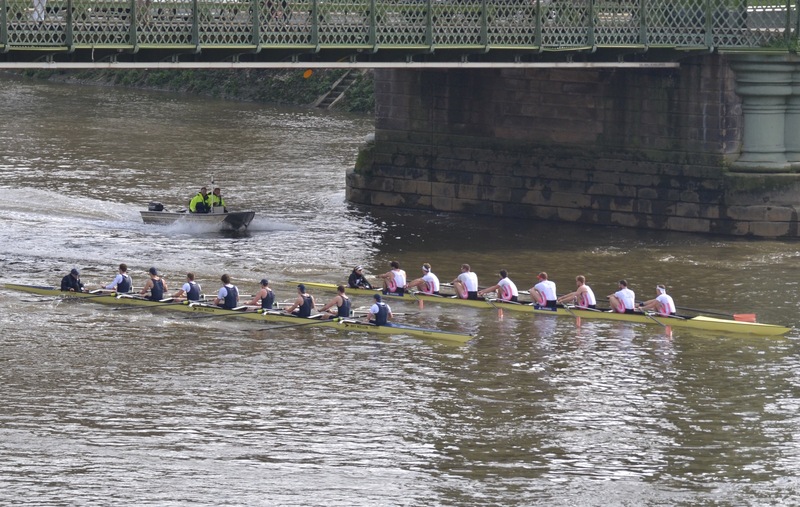 Previously and subsequently, both the Oxford and the Cambridge men had/have been beaten by Oxford Brookes University. 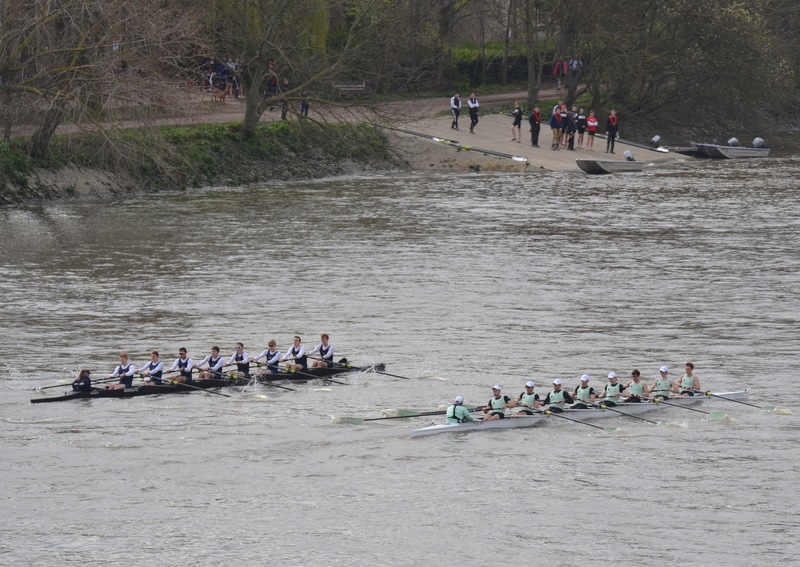 On 17 March, Brookes finished ‘well ahead’ of Oxford in two shorter races, and on 24 March, Brookes beat Cambridge by 2/3 length and ‘just under’ 1 length in another two race clash. 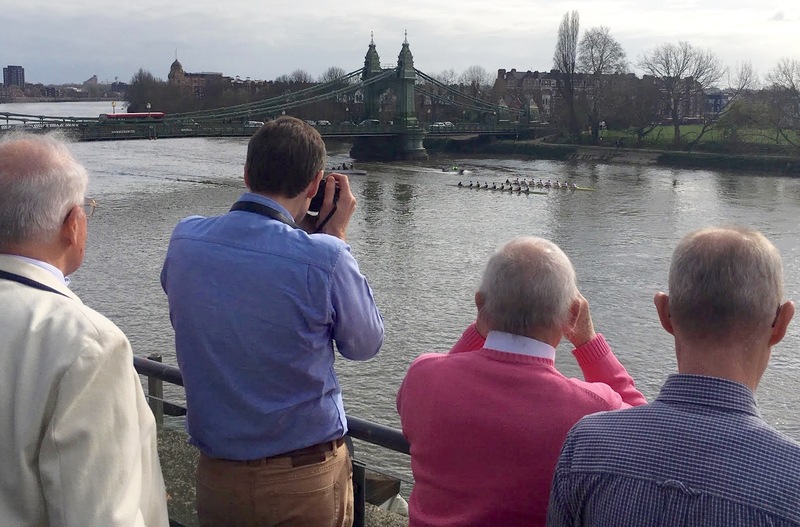 The final piece of entertainment on the Hammersmith bend was the 45th Oxford – Cambridge Lightweight Men’s Boat Race, the first time that it has been run over the full Tideway Course. For this year at least, the lightweight women have decided to race on 30 March at their traditional venue on the Henley course. A full report on the men’s race by William O’Chee will follow tomorrow on HTBS. Spoiler alert: Oxford won by 2 1/2 lengths. OUBC race Leander under Hammersmith Bridge. OUBC and Leander pass St Paul’s School. The roof terrace of Auriol Kensington offers a fine view of the Thames Championship Course from Harrods to past St Paul’s School. Here, the luncheon party watches the Oxford – Cambridge Men’s Lightweight Race. Picture: Nick Hubbard. 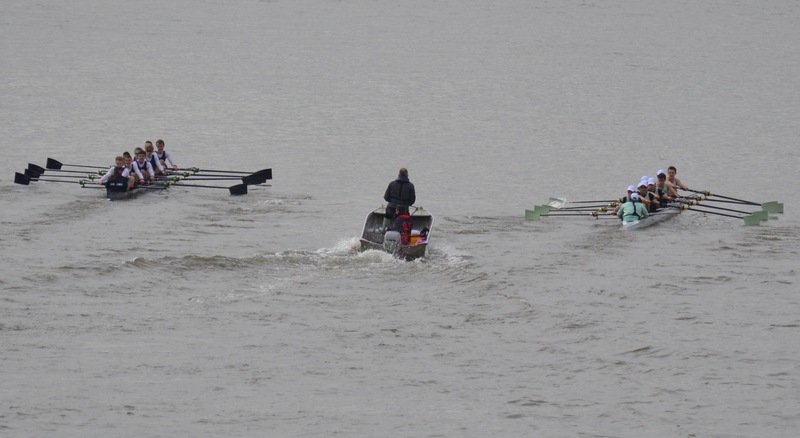 The Lightweights’ race approaches St Paul’s School. Cambridge had led up to Hammersmith Bridge. At this point, perhaps it was still anyone’s race. Disappearing from view past St Paul’s, Oxford has gone ahead. 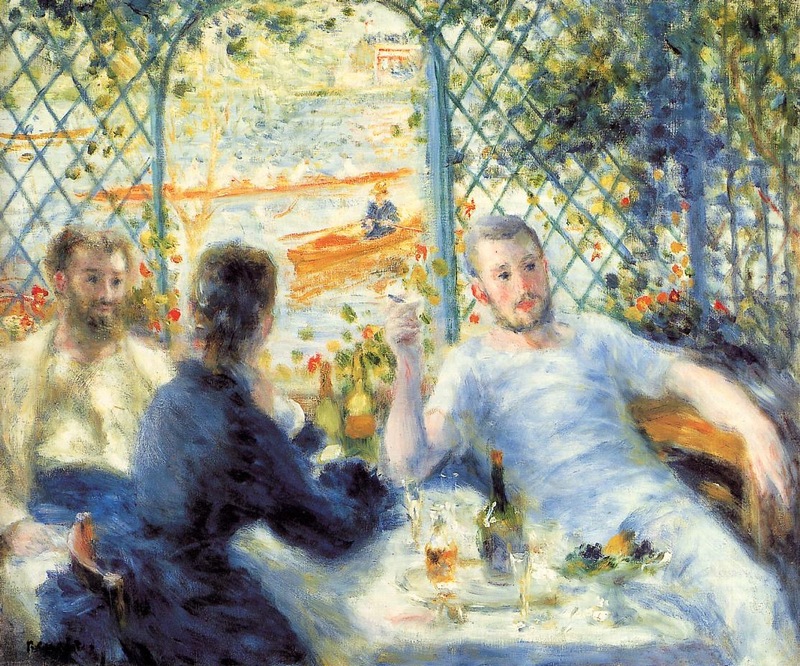 ‘The Rowers’ Lunch’ by Pierre-Auguste Renoir (1875) – not as good as the HTBS one. 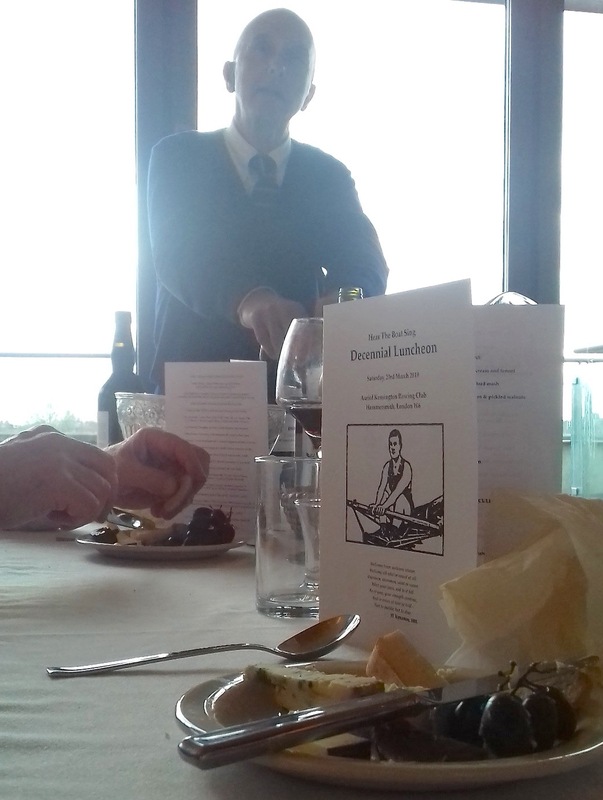 The HTBS Lunch was catered by Boris and Ramsay of Hammersmith Riverside Events, which is based at Auriol Kensington. They cater for parties, dinners, civil partnership ceremonies, wedding receptions, conferences and workshops and they say that they pride themselves both on ‘flexibility and a very personal level of service’. Although a privately-run business, part of its profits goes to support rowing at AK. In this brilliant piece, Tim quotes Gordon Gekko, who says that ‘Lunch is for wimps’. Gekko, or that is Oliver Stone, who co-wrote and produced “Wall Street”, had obviously not read Keith Waterhouse’s splendid little gem of a book, “The Theory & Practice of Lunch”, which was published in 1986. Waterhouse – better known as the author of “Billy Liar” and “Jeffrey Bernard Is Unwell” – writes in “The Theory & Practice of Lunch”: ‘Lunch is a celebration, like Easter after the winter. It is a conspiracy. It is a holiday. It is euphoria made tangible, serendipity given form. Lunch at its luchiest is the nearest it is possible to get to sheer bliss while remaining vertical.’ It is not odd that he listed ‘lunch’ as his only recreation in “Who’s Who”. Like Tim, I also miss the three-martini lunches, although I have to confess that mine only reached two martinis – gin-based, olives, stirred, not shaken.